Successful aging has been defined in many different ways by researchers, but many can agree that it comprises more than just good health. The most accepted definition includes not suffering from chronic diseases or physical disabilities and having optimal social engagement and mental health. Some researchers believe that classifying successful aging in this multi-dimensional way is more beneficial for aging individuals than a one-dimensional focus on identifying risk factors for chronic illness or disability. The experimental population included 1,584 adults aged 49 or older, who did not have cancer, coronary disease, or stroke at the outset of the study. The participants self-reported their level of physical activity each week. Successful aging was assessed through the administration of questionnaires by an interviewer. In total, they found that 249 participants had aged successfully at the end of the 10-year follow up period. They found that the adults with the highest levels of physical activity were twice as likely to have aged successfully when compared to the participants with the lowest levels of reported physical activity. The participants who showed the highest levels of physical activity performed more activity than the current lowest recommendations for a healthy lifestyle. They also found that those who had aged successfully tended to be younger and married, as well as physically active, and less likely to smoke or live alone. This study shows only a correlational relationship between physical activity and successful aging, but the underlying mechanisms behind the relationship remain unclear. The researchers speculate that the inflammatory pathways may play a part, as inflammation is known to be a factor in medical conditions including chronic disease, depression, cognitive decline, sarcopenia, and disability. 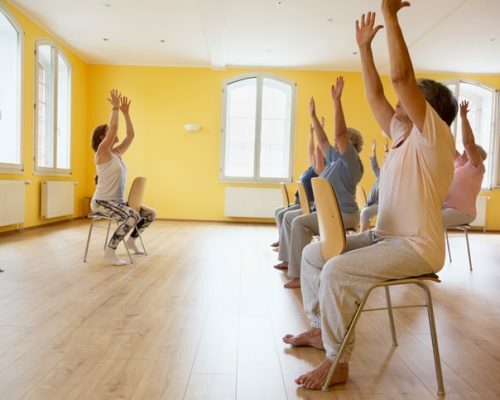 Past studies have linked physical activity with lower levels of sustained inflammation in older adults, lowering their risk of developing conditions such as the above. Whatever the reason behind the relationship, the researchers feel that healthcare systems should take these results into consideration when recommending the amount of physical activity older adults should be regularly performing.